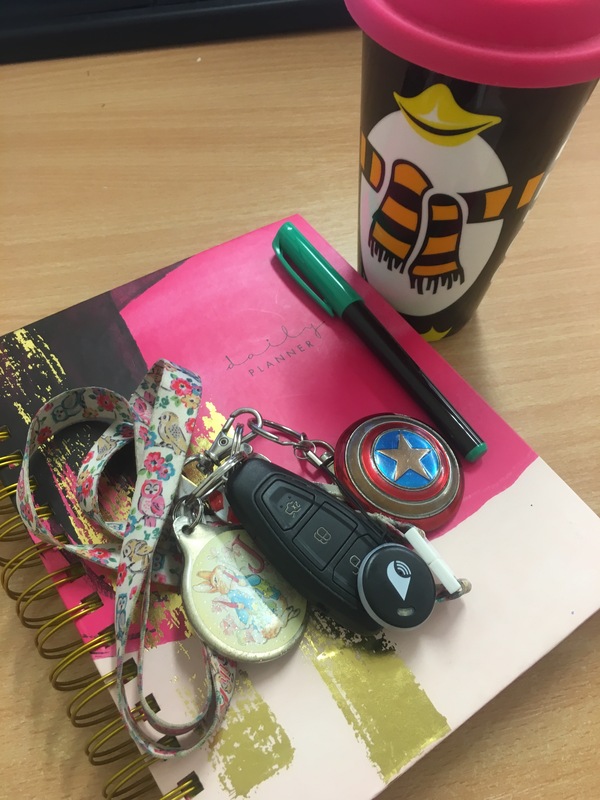 Being a busy working mum we are always on the go, and usually in a rush to get to wherever we are headed. At 11 months old, baby H is yet to sleep through the night and is also an early riser. I quite literally am powered by caffeine. My brain no longer functions as it used to, and I am one of those people who regular does mindless things like putting the remote control in the freezer and the ice cream tub by the TV in its place. This, by default, means I regularly misplace important items as I am in a mad dash to leave the house. And with H napping at home twice a day and me trying to utilise my days off with her, we go out 2-4 times a day! When I was offered the opportunity to review a tracking device, I jumped at the chance. TrackR pixel is a Bluetooth tracker that helps you to find lost items using your smartphone. It is simple and easy to attach the TrackR device to an item of choice, either using the looped cord or attaching the sticky back that it comes with. When it arrived, it was so easy to set up – I am a self confessed technophone and instruction avoider, and I had no problem setting it up myself (rocking my inner feminist – no husband needed for this one!) with a quick skim of the instructions. The TrackR pixel can pretty much be attached to anything. I opted for my keys, as I frequently struggle to find these as I am headed out the door. Another amazing feature of the device is that by clicking it, it can also help you to find your phone by making it ring loudly even if it is on silent mode. My phone is my second most misplaced item, so again this is a bit of a life saver for me. Within a week of having the TrackR, surprise surprise – I misplaced my phone. Rather than running around the house like a madwoman, tearing apart everything I own, becoming a sweaty stressed mess, and leaving our home looking like it has been burgled (trust me, this is a regular occurrence!) I simply pressed the device and was easily able to hear my phone and track down its hiding place (tucked up in my bed covers!). This meant I was not late, and headed out the door feeling much more calm and collected than I would have had it not been for the device and its helpfulness. The TrackR app also allows you to see on a map the last location that you had the device. 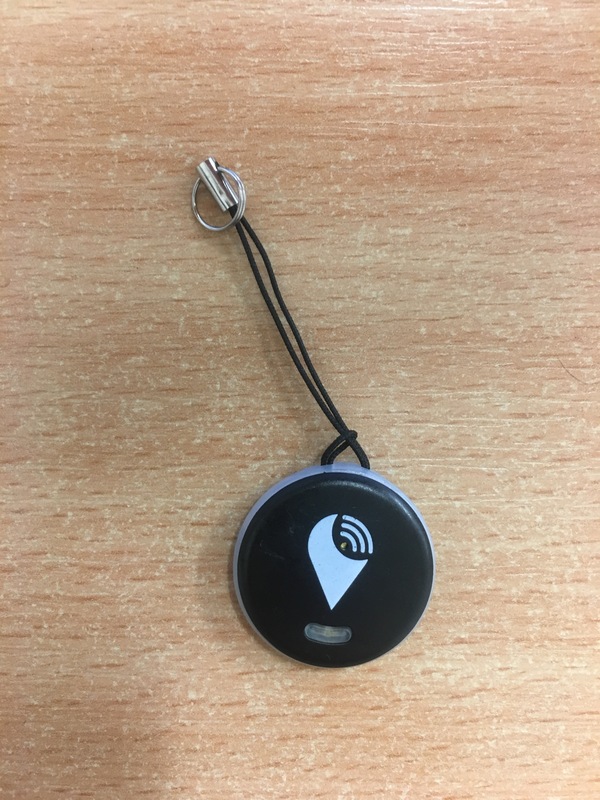 Another really cool feature of the device is that using the app you can use ‘crowd locate’ whereby if you have lost the item away from home, other TrackR users can help you to locate it. Using this function, you update your device setting to receive a Crowd Locate notification. If your item goes missing outside of Bluetooth range, when another TrackR user is within Bluetooth range of your lost item you will receive a location update in your app of the “last seen” location. The update is completely anonymous – the other TrackR user will not know that your item is missing, and you will not know the identify of the TrackR user within Bluetooth range of your item. This to me is a really cool feature of the device! All in all, for £25 I think this is an awesome bit of kit to have. I am even considering buying one for my pregnant friend as a baby shower gift, I mean who needs 64029 cute baby blankets? Whilst I wouldn’t class this as a parenting essential (upcoming blog post in preparation), I would definitely say it is a nice extra to have that does help ease some of the daily stresses of parenthood. 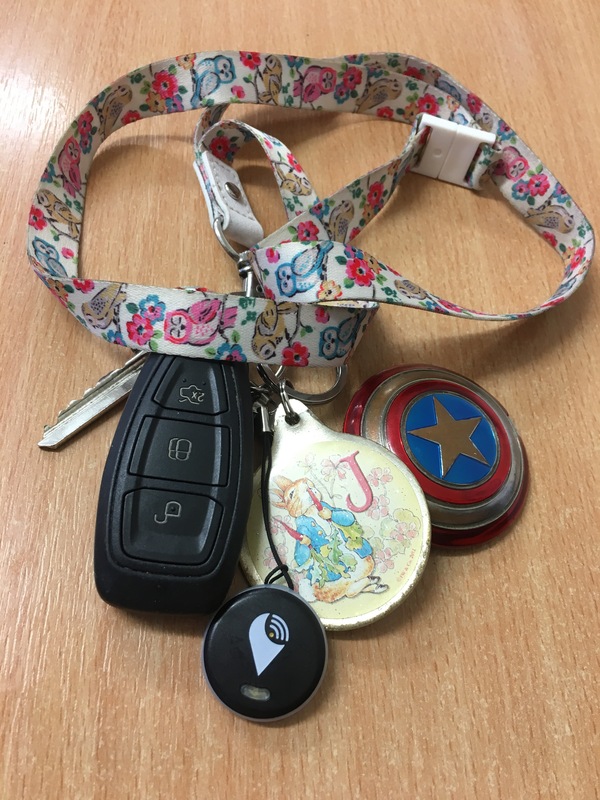 Whether it be that you are a bit (note – a lot) of a serial ‘misplacer’ like me, or you have a small child that has magpie tendencies in terms of hiding your thing, I would recommend investing in a TrackR!